Located in southeast Pennsylvania, about a 1 ½-hour drive from Philadelphia, Colebrookdale Railroad opened in 1859, connecting the country’s first iron-making sites. Now the cornerstone of an ambitious plan to increase visitors to the region, it operates as an 8.6-mile tourist line as expansion work continues. The railroad’s rehabilitation as a heritage tourist railroad plays a major role in the region’s community and economic development plan, bringing visitor dollars, creating jobs and helping local businesses grow, while preserving a unique and important part of the local culture. Arrive at the railroad site in time for our 9am start. We’ll take a tour of the site, meet our crew leaders, and get down to work. We’ll break at 1pm for picnic lunch on site, and then enjoy a tour of downtown Boyertown, and entry to a local historic/art site. Your evening is free. Arrive at the railroad site in time for our 9am start. 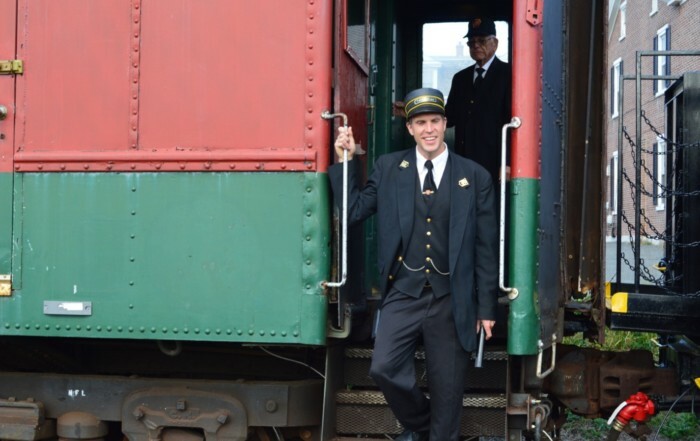 We’ll break at 1pm for a picnic lunch on site followed by a behind-the-scenes tour of the historic rail cars and station. Then back to work until 4pm. Your evening is free. Arrive at the railroad site in time for our 9am start. We’ll break at 1pm for lunch on site, and then back to workk until 4pm. Your evening is free. Arrive at the railroad site at 9am to take final photos, stop by the gift shop, and say farewell to our new railroad friends before returning to our accommodations for check out. Restoration Works International and the Colebrookdale Railroad Preservation Trust are registered 501(c)3 non-profit organizations. Tour fees are considered a tax deductible charitable donation for US tax filers. (Please consult your tax advisor.) Volunteer trip fees provide the funds by which we are able to purchase materials, fund programming and provide volunteer lodging, food and activities. Reservations are secured with a $300 deposit. The balance is due 60 days prior to the start of the trip. RWI will send an invoice as a reminder. A review of our Volunteer Information Pack, which you will receive upon payment of your deposit. It contains important information for pre-preparation, including a packing list and additional information about the site and area. Deposits are refundable up to 60 days before Day 1 of the trip, less a $75 administration fee. Sorry, no refunds within 60 days of the tour, but please contact us, as we will help you to rebook another tour. 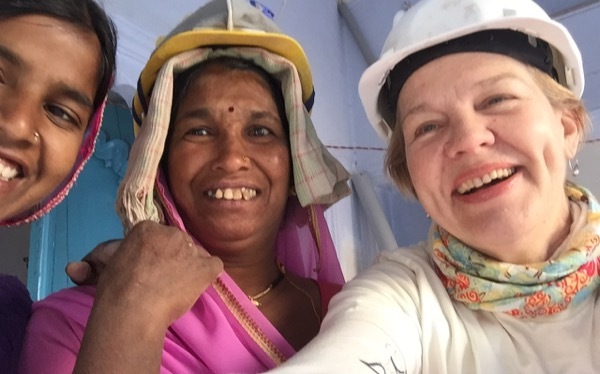 We believe in the value of work as the universal language that connects an individual’s commitment to a group effort, benefiting the larger community. We believe that by bringing people together to restore these historic sites, we provide opportunities to make new friends and help communities proudly celebrate their unique place in the world. Nearly 80% of your trip fee remains in the community, going to project costs, lodging and food. 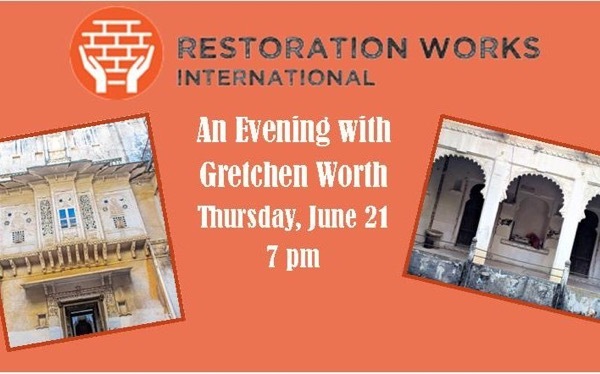 Anyone can join a Restoration Works International trip. No previous construction or building experience is required – just a desire to make a difference in the lives of the local community.